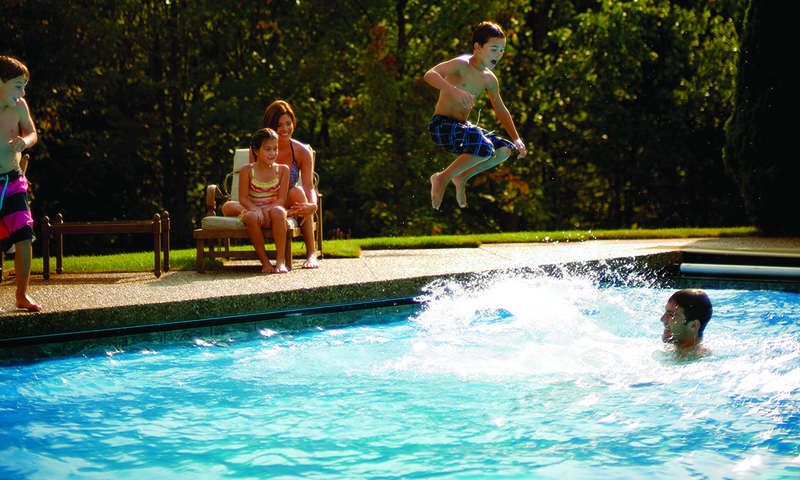 Family Pools Maintenance Department offers affordable maintenance for your pool. We offer a variety of services from simple balancing to complete pool care. You can schedule us weekly, every other week, or maybe you just need us for that tedious spring clean-up. If it’s balancing the pool you don’t like because you feel like a mad scientist or you just don’t have time to pick up chemicals and get that water sample into our lab for a test then you can hire us for just that. We can stop by weekly or bi-weekly to test your pool and add any necessary chemicals including balancing chemicals and shock treatments. In fact, we go beyond that! Since we’re there, we’re check and empty those nasty skimmer baskets for you (I would hire us for just that!) and we’ll backwash or hose down your filter as needed as well…well there, we made both you women and men smile, didn’t we? For those with a totally hectic schedule or those looking for luxury…we can vacuum and clean your pool, as well as, test, balance, and do the rest of the routine maintenance necessary to keep our pools safe, clean, inviting, and highly operational. Living with a dirty filter until you get around to cleaning it will keep your pool operational but not at its maximum performance. Once the circulation slows down, the filter isn’t picking up quite as much, the skimmer isn’t skimmer like it used to allowing more surface debris and allowing more debris to settle causing more vacuuming and, if you have a heater, it may just stop working since there isn’t enough water flow to allow it to operate…oh no, if you have a chlorinator or chlorine generator then that relies on flow too so when that stops working, your pool isn’t getting enough chlorine then it gets cloudy then algae grows…then before you know it, Dad is bringing home gold fish and you can’t swim anymore – HELP! Don’t wait until you have a gold fish pond to call us. Okay, all kidding aside, good circulation is very important and so isn’t good water chemistry…not just for aesthetic appearance but for safety and sanitation also. If you don’t have time, let us help. At very least, drop in with a water sample and any questions you may have and we will be happy to guide you on proper and sanitary pool care. Take advantage of our know-how and learn-how! One Touch-up vacuuming – includes vacuuming, water balancing and backwashing the filter as necessary. Offered weekly, bi-weekly, or monthly. Another huge advantage of Family Pools Maintenance Department is that it works closely together with our well renowned Family Pools Service Department. We’re a whole team here! Many times you hear about maintenance companies that simply clean. Cleaning is great and let’s be real, that was the original objective, right? Cleaning is great until something isn’t right. Here at Family Pools we have the knowledge to know if something just isn’t right. Maybe you have a drip on your filter or a hum in your motor, something that may grow or cause more problems…expensive problems. Your maintenance guy could just say “not my problem” or maybe just not recognize the problem…after all, he’s just there trained to clean or balance the water. Most Maintenance crews are not trained to troubleshoot or recognize ill performance in filtration and pool systems. In fact, some won’t even take a filter apart to clean it…they say, call your pool company. 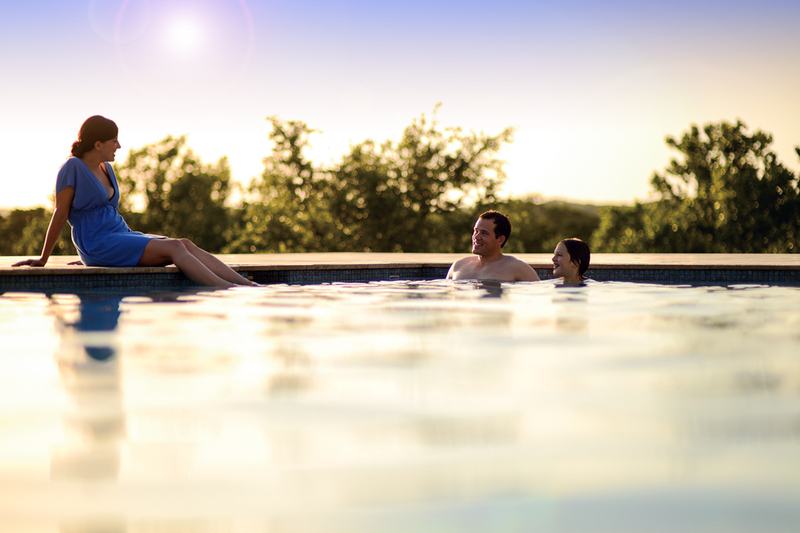 At Family Pools, we are your pool company and our Maintenance crews will recognize anything that looks out of sorts and notify our Service team who will then troubleshoot and rectify the problem preventing greater problems in the future. We know owning a pool can be a budgetary challenge and we know, as much as hired maintenance only adds to that expense, it can pay off too. We know your time is valuable. Life is short and we must take advantage of every moment we can. In order to help you afford this sometimes necessary and this sometimes desired service, we are willing to assist. For those of you who wish to utilize our maintenance services, we will contribute to your maintenance fund by way of a discount on your annual chemical costs. Not only will we store most of your chemicals for you leaving room in your shed for more fun pool items, we’ll discount any chemicals purchased and used in the program. In fact, balancing chemicals will be sold by the pound so you won’t be paying for a ten pound container when you only need two pounds. 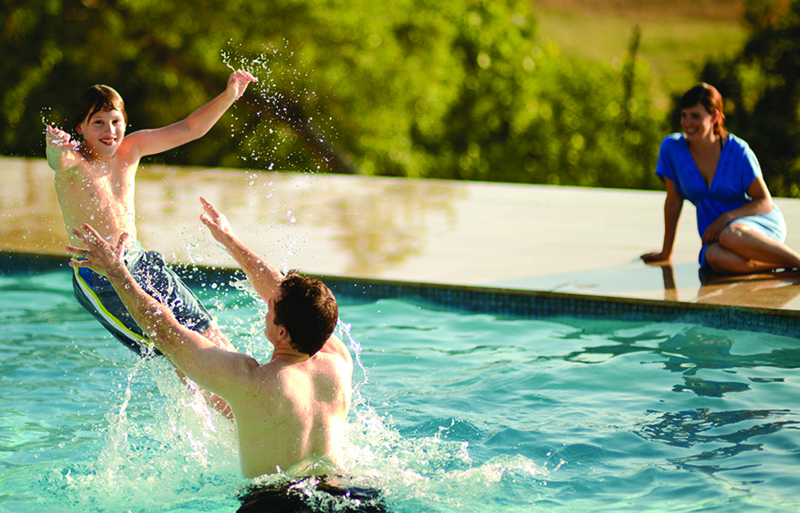 See, it’s a plan – a Family Pools Maintenance Plan! swim season much more enjoyable for you!